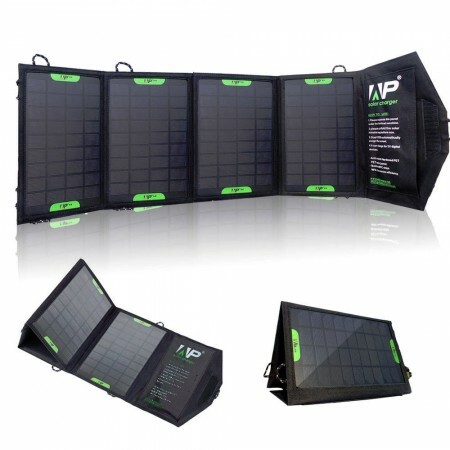 The Allpowers portable foldable solar PV module is lightweight and compact. 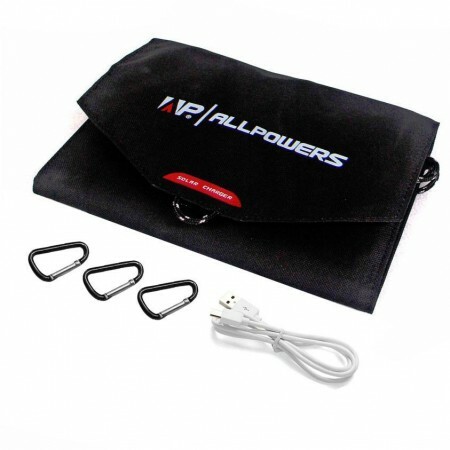 Use it to charge or power your USB devices, cell phones, tablets, even your laptop. 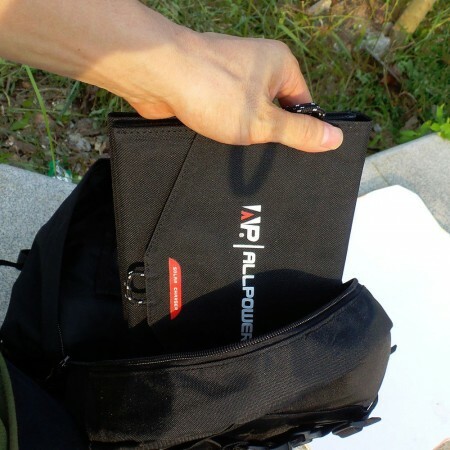 Designed for users who need lightweight and portable power for laptop, cell and satellite phones, GPS units and more, Allpowers Foldable Solar Chargers handle almost any charging need. Great for hiking, camping, vacations, and emergencies. 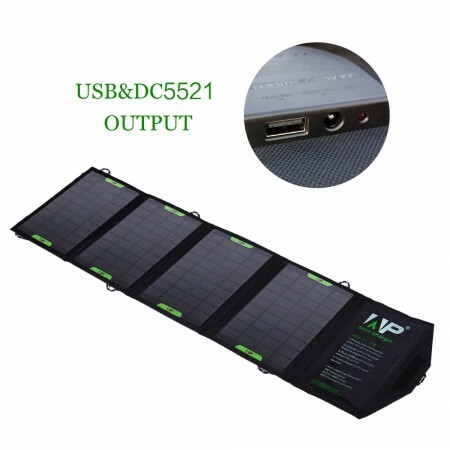 USB charging port is built in to the charger for charging any USB device with the sun! Fully charge an iPhone 5 in 2.5-3 hours under direct sun. 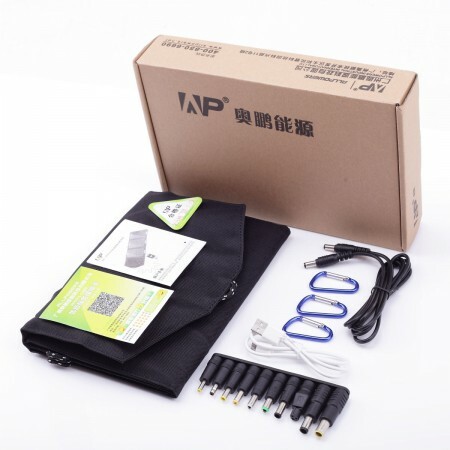 Or, use the DC barrel plug and interchangeable tips to charge your laptop or other DC device. Even directly power a small DC fan! 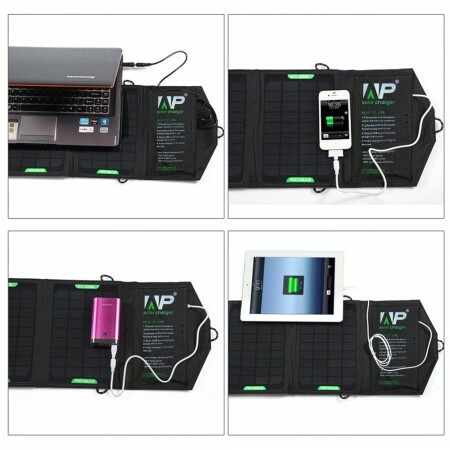 This solar chargers are designed for durability, and are UV and weather resistant to handle diverse environments. Use the included carabiners to clamp on the loops of the solar charger and attach to your backpack, a tree or other object. 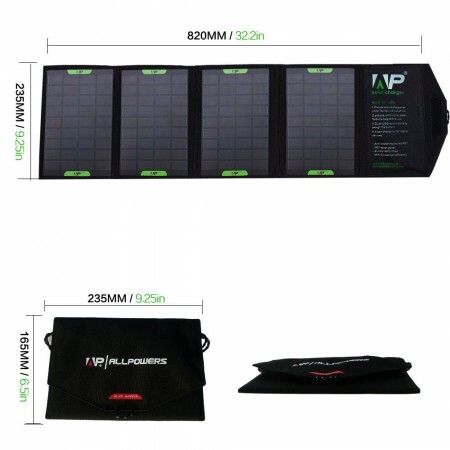 Allpowers solar cells are paper thin, offer unsurpassed flexibility, are durable, and have a significant weight advantage over heavier metal and glass-based solar modules. Allpowers integrated solar modules have a paper thin durable polymer substrate 2 mils (0.05 mm) or less thick and are monolithically integrated. Environmentally-friendly amorphous silicon is the semiconductor absorber layer. PET laminated, PVC waterproof fabric. Please email or call us if you have any questions, or if there is no shipping weight noted for a shipping cost quote. Prices and online subject to change without notice due to vendor price increases. We will contact you if current price is more than the online price prior to processing the order.